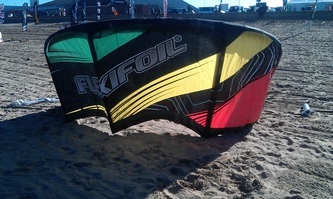 The Flexifoil Force is a Medium-High aspect ratio kite with a pretty thin leading edge and four struts. 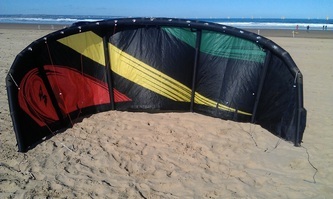 It comes with the tried-and-tested Flexifoil one pump system, and is inflated and ready to fly in no time. 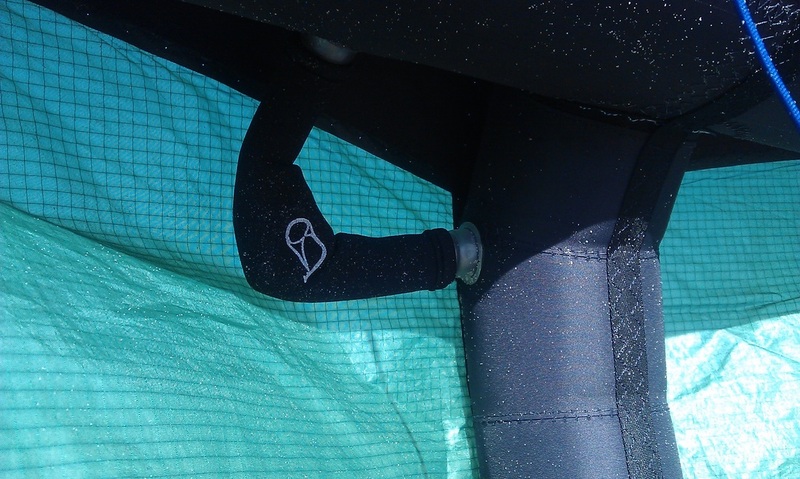 The construction is up to Flexi's usual high standards, with lap seams and reinforcements in all critical sections, and should surely stand the test of time. Flexi are so confident of their construction methods, that should you break your kite in its first month, they'll repair it for free! The Force launches really easily off the beach, it pivots with ease and is up in the air in no time. Once in the air it's stable in flight and you immediately notice the medium bar pressure great direct feel. It generates a decent amount of static pull, and there's plenty of extra power on tap when worked through the window or looped. The Force is a great all-round kite for any level of ability with its direct feel and stable flight. Relaunch is also a piece of cake - often when it goes down it rolls onto its side and is ready to fly again immediately. 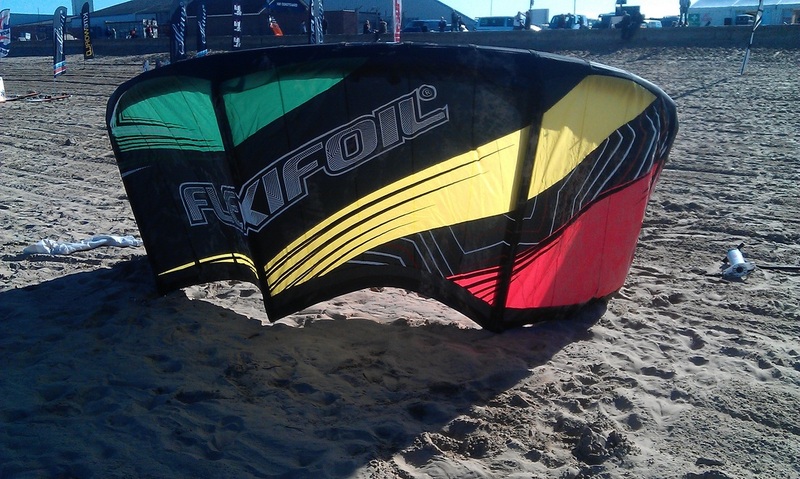 It's bottom end is really good, and its surprising how powered you can be in light winds when you get the board moving. 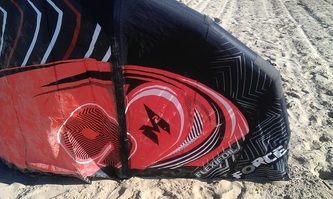 The medium high aspect allows it to fly quite far forward allowing easy upwind progress. This also gives it good forward speed, and its top end speed is exhilarating. When you send the Force it really comes to life, providing lots of oomph for high floaty jumps and a timely redirection leads to nice cushioned landings. Its also a nice to pop some floaty transitions by the beach with too. When trimmed the kite unhooks very nicely, and parks in the sky well. It's perhaps not the best choice for progressive handlepasses as it offers little slack, but basic unhooked tricks are certainly not out of the question. A great all-rounder for any intermediate rider for freeriding, boosting, freestyle and first steps into wakestyle. Its direct feel is about as good as i've experienced on an SLE and is an outstanding performer to get some serious airtime on.